Three years from debutants Wolfsburg dethroning holders Lyon in the 2013 UEFA Women's Champions League final, they meet again in the decider on 26 May in Reggio Emilia. Either Wolfsburg or Lyon will claim their third UEFA Women's Champions League title when they face off for the second time in a final on 26 May in Reggio Emilia. • These clubs met in the 2013 final at Stamford Bridge, debutants Wolfsburg winning 1-0 to scupper Lyon's hopes of an unprecedented third title in a row. • Martina Müller scored the only goal from the penalty spot in the 73rd minute. Wolfsburg: Vetterlein; Wensing, Henning, Hartmann, Popp; Blässe, Kessler, Goessling, Müller; Jakabfi (Magull 78), Pohlers (Omilade 82). Lyon: Bouhaddi; Petit, Georges, Renard, Bompastor; Henry, Necib, Abily (Le Sommer 67); Thomis, Schelin, Rapinoe (Dickenmann 46, Majri 89). • From the Wolfsburg team Luisa Wensing, Alexandra Popp, Anna Blässe, Lena Goessling and Zsanett Jakabfi remain in the squad, while Lara Dickenmann joined from Lyon in summer 2015. • From the Lyon team Sarah Bouhaddi, Corine Petit, Wendie Renard, Amandine Henry, Louisa Necib, Camilly Abily, Élodie Thomis, Lotta Schelin, Amel Majri and Eugénie Le Sommer all remain. • Wolfsburg's Babett Peter and Isabel Kerschowski were in the Turbine Potsdam team that beat Lyon 7-6 on penalties after a 0-0 draw in the 2010 final, both converting in the shoot-out. They were also on the losing side against Lyon the following year. • Five German sides – FFC Frankfurt (2002, 2006, 2008, 2015), Turbine Potsdam (2005, 2010), Duisburg (2009) and Wolfsburg (2013, 2014) – have taken the title, with just one victorious club each for the other successful nations: Sweden's Umeå (2003, 2004), France's Lyon (2011, 2012) and England's Arsenal (2007). • This is the ninth final in a row (and 13th overall) with German representatives. • Either Lyon or Wolfsburg will become the first three-time winners in the UEFA Women's Champions League era since 2009/10; they are already the only multiple victors since the rebrand. • This is sixth final with French representatives, with Lyon in the decider for the fifth time. Defeated by Potsdam in 2010, they were victorious against the same team a year later, won against Frankfurt in 2012 then lost versus Wolfsburg the following year. Paris in 2015 were the other French finalists. • Both Dickenmann and Élise Bussaglia joined Wolfsburg from Lyon last summer. Dickenmann was at Lyon from 2009 to 2015 and won six league titles and two UEFA Women's Champions League; Bussaglia joined in 2015 and cliamed three French titles. • Popp, who won the European title with Duisburg in 2009 and Wolfsburg in 2013 and 2014, could equal the record of four final wins held by former club-mates Conny Pohlers and Viola Odebrecht. • Dickenmann's tally of two European final wins is shared by three of Popp's fellow veterans from Wolfsburg's 2013 and 2014 final victories: Wensing, Blässe and Goessling. Ralf Kellermann was also coach for those triumphs, and could become the first three-time managerial winner, while Nadine Kessler, who started the season still on the club's books, has since retired due to injury. • Other past final winners in Wolfsburg's squad are Jakabfi (2013), Almuth Schult (2014), Stephanie Bunte (2014), Nilla Fischer (2014), Verena Faisst (2014), Peter (Potsdam 2010) and Kerschowski (Potsdam 2010). • Wolfsburg are the only team to have won their first two appearances in the final of this competition, and could make that three in Reggio Emilia. No club have previously won the title three times in four years. • Synne Jensen and Caroline Graham Hansen (though she is set to miss the final through injury) could become the first Norwegian players to win a final in this competition. • Ewa Pajor could become the first Polish player to win a final in this competition. • Wolfsburg played their first competition game in Italy in the quarter-finals when they won 3-0 at Brescia to match their home win the week before. • Lyon are in their fifth final, one behind Frankfurt's record. If they lose they will equal Umeå's record of finishing runners-up three times. • Veterans of both of Lyon's final wins are Bouhaddi, Petit, Renard, Henry, Necib, Abily, Schelin and Le Sommer. • Bouhaddi, Petit, Renard, Henry and Necib played in all four of Lyon's finals between 2010 and 2013. • Other past final winners in Lyon's squad are Élodie Thomis (2011) and Corine Petit (2012). • Ada Hegerberg has scored 12 goals in the competition this season, two short of the record of 14 currently shared by Pohlers (Potsdam, 2004/05), Margrét Lára Vidarsdóttir (Valur Reykjavík, 2008/09) and Célia Šašić (Frankfurt, 2014/15). • In the first leg of the semi-finals, Abily became the first player to register 50 victories in UEFA women's club competition, since increased to 51. In the second leg Necib also managed her 50th win. • By scoring in each leg of the sem-finals, Lotta Schelin got her 40th and 41st European goal for Lyon, equalling then overtaking the competition record for one club established by Neulengbach's Nina Burger. Schelin also overtook Hanna Ljungberg as the most prolific Swedish player in UEFA women's club matches. • Lyon's third goal against Paris in the first leg of the semi-finals made them the first club to amass 250 in this competition (their tally is 255 from 69 fixtures, with only 26 conceded). • A victory would be Lyon's 54th in Europe, equalling Frankfurt's record. • The final will be Lyon's 70th European game; only Arsenal (79) and Frankfurt (78) have played more. • Hegerberg could become the first Norwegian player to win a final in this competition. • Lyon are making their fourth competitive trip to Italy. In 2008/09 they won 5-0 at Verona in the first leg of the quarter-finals, and at the same stage a year later lost 1-0 at Torres having won 3-0 at home. In the 2014/15 round of 32 they won 5-0 at Brescia in the first leg. Paris Saint-Germain 0-1 Lyon (agg: 0-8)Lotta Schelin struck just before half-time as Lyon eased through to a rematch of their 2013 final defeat by Wolfsburg. FFC Frankfurt 1-0 Wolfsburg (agg: 1-4)Marith Priessen headed in for the holders, but it was not enough to deny two-time winners Wolfsburg a place in the final after their 4-0 first-leg triumph. With Wolfsburg's Lara Dickenmann set to meet old club Lyon in the final on 26 May, the midfielder tells UEFA.com about her move and the contrast between the sides. That the victory of German double winners VfL Wolfsburg could be deemed an upset is testimony to the strength of Olympique Lyonnais. 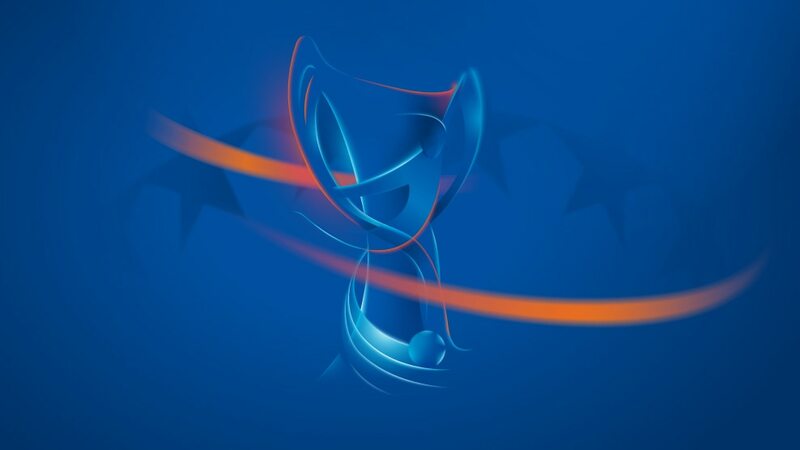 UEFA.com looks back at the 2012/13 season.